Actuators have become a crucial part of the automated system, as they help with controlling equipment using hydraulic, pneumatic or in some of the cases electronic signals. Linear actuators (see more here www.progressiveautomations.com/linear-actuators) are quite common as they form the bulk of applications used in the control of equipment moving along a lateral axis. However it is also important to note that there are other types of actuators that are found in robotic arms. One of the actuators types is referred to as a synchronous actuator and relates to the fact that it has a motor which rotates synchronously with the oscillating current. The brushless DC servo is also a common one and like the name suggests it uses a DC current and does not have brushes. Instead it has permanent magnet poles on the rotor which are attracted to the magnetism of the rotating poles. They tend to last longer and give off no noise along with reduced interference from electromagnetism. The stepper is also brushless and moves in small but discrete steps. It can be used with digital and analog signals. 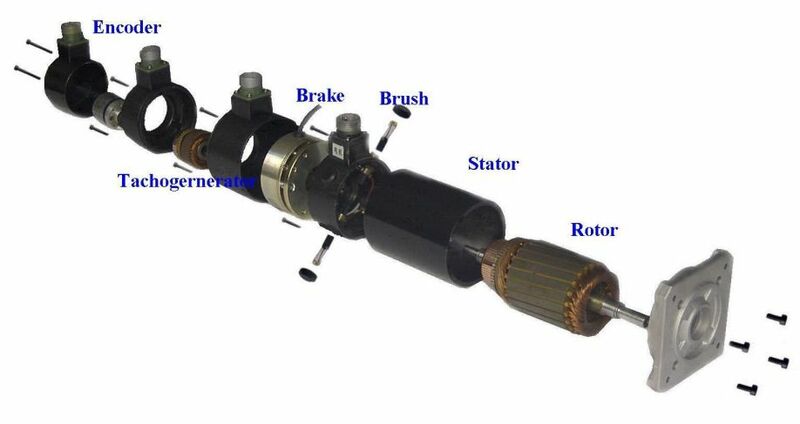 The brushed DC servo on other hand has brushes/commutators which are found on a permanent magnet or a wound stator. The asynchronous actuator on the other hand is designed to slip for it to generate torque. Traction motor is an electric motor that is common cars for driving the wheels. AC servo motors are two phased just like the driving current and are crucial where fast and accurate responses are required. Pneumatic actuators are powered by compressed air to give quick and accurate movements. The hydraulic actuators on the other hand use hydraulic pressure to create rotation and hence torque.